If you live in a cold climate you will know what it is like to walk barefoot across a cold tiled bathroom floor first thing in the morning. But is underfloor heating the answer? When considering a bathroom makeover, one of the advantages is that you can use more up-to-date technology to make using your bathroom more practical and enjoyable as well as getting a great new look without the expense of moving house. Some changes to a bathroom are cosmetic – a toilet is a toilet after all – but others can make a real difference to how you use you space. 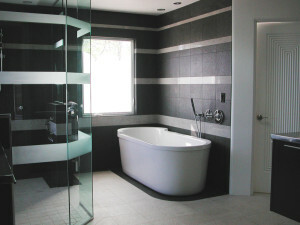 A deep luxurious bath or a state-of-the-art power shower can completely change your bathing experience. But, in cold climates, perhaps one of the most luxurious aspects of a new bathroom is to install underfloor heating. Those who live in a warm climate probably find it hard to understand why underfloor heating could be considered such a luxury, but those who live in colder climes know what it is like to step onto those freezing cold porcelain tiles in the early morning having just emerged from a warm bed – it is not a pleasant experience. And yet we all love tiled floors in our bathrooms – they are beautiful and hygienic because tiles are so easy to keep clean. Traditional radiators in bathrooms often will simply not be able to heat porcelain or ceramic tiles to a comfortable temperature but underfloor heating can heat the floor and the room. There are two main types of underfloor heating: Electric and Wet (piped). Electric underfloor heating is best suited to existing bathrooms and homes as it can be installed retrospectively with the minimum of fuss and mess because it is installed on top of the sub-floor. A qualified electrician can easily install this type of heating and it is efficient and easily controlled via a thermostat and timer. As with most electric heating it is likely to be more expensive to run than an underfloor system that is part of a central heating system powered by oil or gas, but is still a good option for those who either do not have the budget or do not want the upheaval of channelling pipework under their bathroom floor. A wet underfloor heating system supplies heat to your tiled floor through a series of pipes containing hot water in much the same way as a traditional central heating system that uses radiators and is powered by natural gas (or oil in certain areas) and is usually connected up to the main heating system in the home. It is more difficult to install in existing bathrooms because the pipes need to be laid level with, or under, the sub-floor, which can mean channelling out space for the pipes in a concrete screeded floor or can involve removing floorboards to lay the pipes underneath. A professional plumber will be needed to complete such a job, especially if existing radiator pipes are to be cut and extended into the underfloor pipes. Although this method is more difficult to install in an existing bathroom, it is less expensive to run and easier to control. In a new build home this would be the best underfloor heating option as the hassle of removing or altering existing floors would not come into the equation. 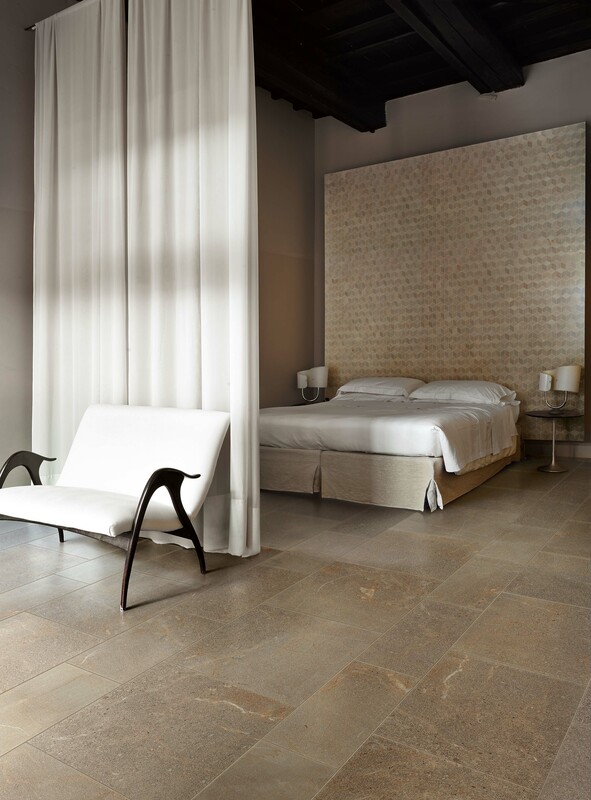 But whatever type of underfloor heating you decide to install, whether under natural stone, porcelain tiles or ceramic tiles you are certain to enjoy the luxury of walking barefoot on warm tiles at any time of the year.